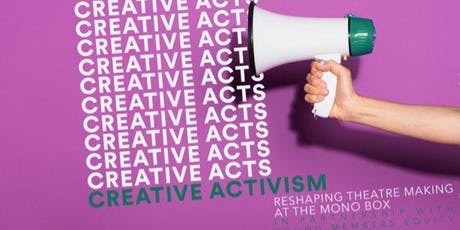 To celebrate the TUC’s Year of the Young Worker, Equity Young Members’ Committee has teamed up with The Mono Box to offer an exciting series of workshops, talks and events – Creative Acts. In the run up to Brexit, they’ll be talking about how theatre can change the world and the role our work as theatre makers has in creating positive change. The Mono Box Co-Founder and Movement Director Polly Bennett will chair a conversation around the role of the movement director, in the rehearsal room, in production and in evolving the industry to understand the value of their art. This discussion will be valuable for people interested in choreography and movement practice. With: Tom Jackson-Greaves, Vicki Igbokwe (Uchenna Dance), Ayse Tashkiran & Anna Morrissey. Vicki Igbokwe is the creative director, choreographer and founder of Uchenna Dance. In addition to being the creative director and choreographer of Uchenna Dance, Vicki works as an independent choreographer, movement director, facilitator, teacher, and visiting lecturer. She is the facilitator for the Fi.ELD 2019, trustee for One Dance UK, and associate artist at The Place. Her current touring shows for Uchenna Dance are The Head Wrap Diaries and Hansel & Gretel. Movement Direction Credits include The Woods for The Royal Court and Princess & The Hustler for Eclipse Theatre.